A community meeting on Saturday provided those affected by an extensive vegetation fire burning in the Santa Cruz Mountains with relief services, Santa Clara County officials said. The Loma Fire started in the area of Loma Prieta and Loma Chiquita roads northwest of Morgan Hill. 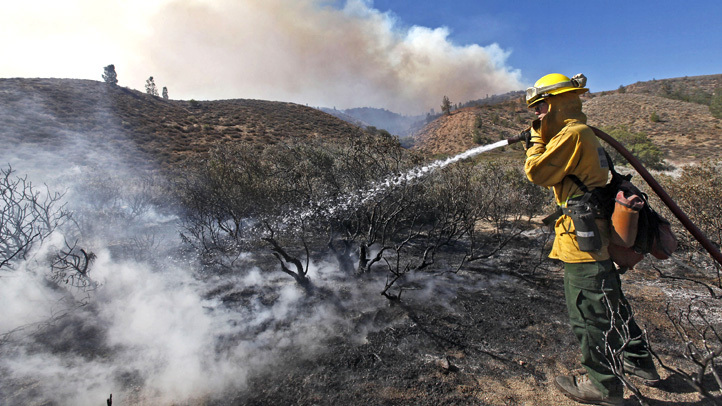 It has charred through 4,474 acres and was 95 percent contained as of this morning, according to Cal Fire officials. Many residents were forced to leave their homes when the fire began on the afternoon of Sept. 26 and all evacuation orders were lifted on Tuesday morning, Cal Fire officials said. The 10 a.m. meeting was held at Loma Prieta Elementary School's Forum Room at 23800 Summit Road in Los Gatos, county officials said. "The aftermath of a fire can be overwhelming, and we want to make sure Casa Loma area residents are connected with the resources they need to recover," County Executive Jeff Smith said in a statement. "The community meeting and Loma Fire Recovery Hotline will provide easy access to information residents will need over the next few weeks," Smith said. Meeting attendees could pick up a fire recovery handbook along with information on applying for a reassessment of their damaged property and permits for reconstruction, according to county officials. They were also provided with tips on where to safely dispose of fire debris, expired and damaged food and hazardous household materials such as paint cans, county officials said. Representatives from the American Red Cross in addition to the county's Office of Emergency Services, Assessor's Office, Social Services Agency, Department of Environmental Health, South Santa Clara County Fire District and other divisions were at the meeting. The fire destroyed 12 homes and 16 outbuildings and damaged one residence, but is no longer threatening any structures, according to Cal Fire. There were 386 firefighters assigned to the incident as of Friday morning, but at the peak of the fire more than 2,000 firefighters were called to put out the blaze, Cal Fire officials said. There were 10 fire engines, five bulldozers and 11 water tenders being used to help extinguish the fire, according to Cal Fire. Crews are expected to stay at the fire's perimeter for the next few weeks to remove their equipment and conduct suppression, mop-up and patrol operations, Cal Fire officials said. 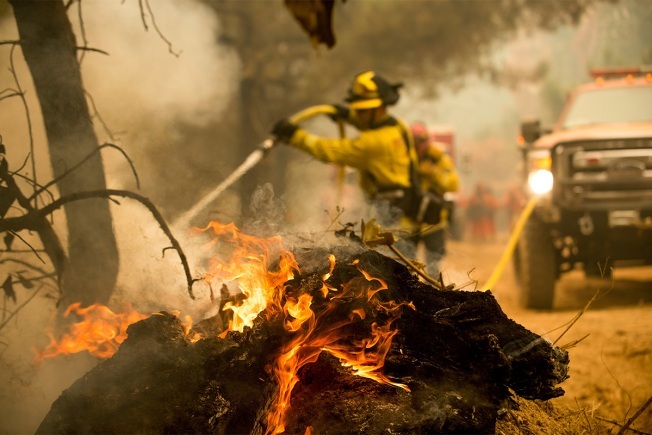 People can learn more about support resources through the Loma Fire recovery hotline at (408) 808-7879 or by visiting https://www.sccgov.org/oes.